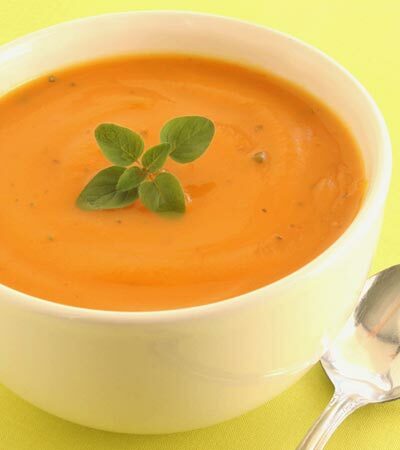 I love the color of this soup, it's very appetizing. The garlic and the herbs are the perfect companion for butternut squash and the soy milk adds a creaminess that's irresistible. 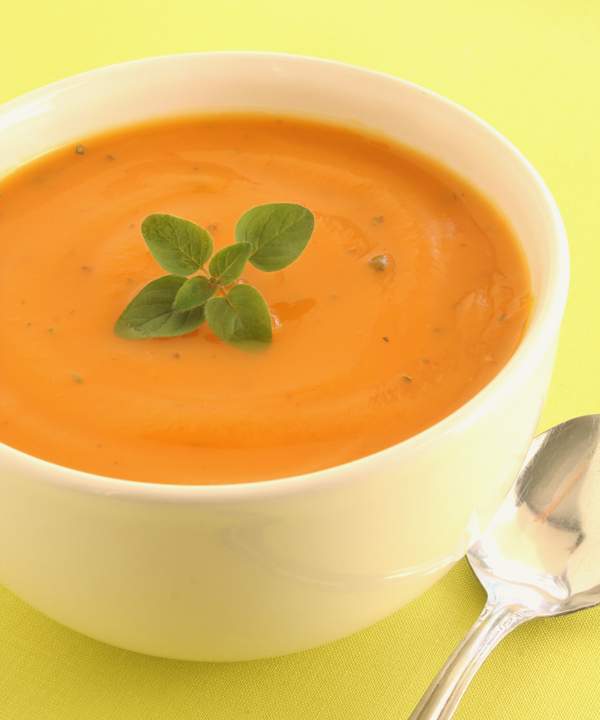 The perfect butternut squash soup recipe. Want to know what others thought about this recipe? Would you like to comment on this recipe? Go to the Herbalicious Butternut Soup blog entry. Cut the stem and bottom off of the squash and slice in half length wise. Brush canola oil on everything except the peeling and bake (with the onion and garlic) on a foil covered cookie sheet that has been oiled, in the oven until tender, which is about 1 hour or more. Don't forget to take out the garlic early so it doesn't burn! When the squash is done and has cooled, spoon out the inside from the peeling and into a measuring cup and then into a food processor or blender. Put the onion and garlic, 1 cup of the soy milk in and blend until smooth. Pour into pot on low heat. Add the rest of the soy milk and Italian herb mix, onion powder, vegan butter, sea salt, orange juice and nutritional yeast. Simmer on low heat for 10 minutes, stirring occasionally. If the soup becomes too thick, add a little soy milk to thin it out.